If you want to experience massive improvements in your body, you need your BRAIN on your side! Don't believe me check out this video where Pete is lifting MASSIVE AMOUNTS OF WEIGHT!!! "Think and Grow Big" is the legendary breakthrough bodybuilding program that uses the mind and body connection to rapidly produce massive gains that makes bodybuilding, football and wrestling legends. Author and creator of this program Peter Siegel unfortunately passed away in January of 2009 and now after a 3 year hiatus. 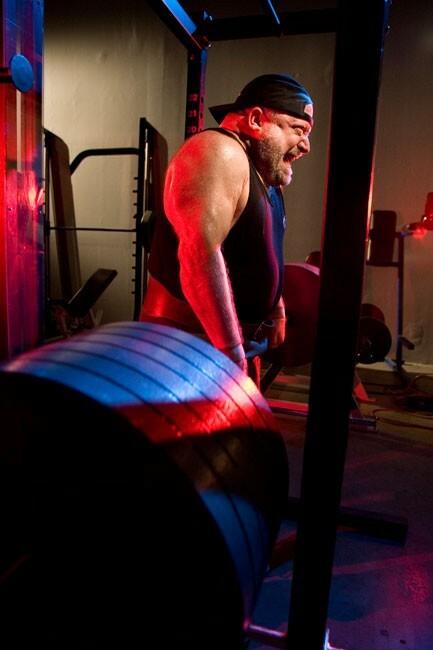 On June 1, 2012 I re-released his legendary weightlifting / bodybuilding program, " Think and Grow Big"
You will get your copy at 50% off. mentally devour and savor every word you’re about to read ! These four recordings ( on CD or mp3) are the classic selections from the Achievement Plus series I first introduced in the 80’s; they sold over 35,000 copies worldwide during that time. They have all been digitally remastered, and we did some "touch up" editing, and sound enhancements. But we left in all the raw emotional intensity effects, and neuro-muscular activation sequences which are the hallmark of these recordings -- the processes that were tested - and proven - maximally effective in helping people move their workout efforts, and physique development from good, to better -- and from better…to seriously mind-blowing! you will get it for 50% off $62.47 PLUS 10.00 shipping and handling. So are you ready to take your body and mind to a whole new level and experience mega power, muscle and success? you will get it for 50% off $62.47 PLUS $10.00 shipping and handling. To have a physical copy shipped to you. after you pay. We will send you an additional shipping bill for 20.00 US.